Contrary to what you may think, signing up for a mortgage loan doesn’t mean you’re stuck in that rate or term. Knowing when to refinance can help you understand how to cut your costs. Refinancing means paying off your existing mortgage with a new one, potentially with a lower rate and/or shorter term. Find out now if refinancing might be right for you. If you received your mortgage at a time when you had average credit or a short credit history and your score has since improved, you may qualify for a lower rate now. If so, you may be able to pay off the principal faster and more quickly build equity, or the difference between your home’s appraised market value and what you owe on it. The market may have changed since you got your mortgage. Many experts recommend refinancing if you can get a rate that’s at least one percentage point lower than your current rate. This can mean saving tens of thousands of dollars in interest costs overall if your current principal balance is large. Azura is currently offering fantastic rates with a limited time Refinance Sale. Check out the rates now to see if this option is best for you. If you have an adjustable-rate mortgage, or ARM, you run the risk of the payments increasing, which can be hard to handle long-term if you have a level income. 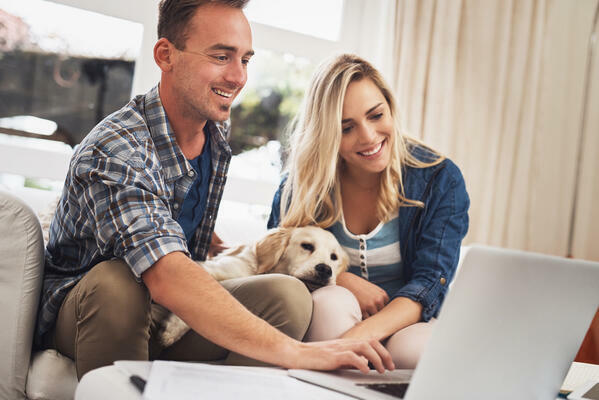 Refinancing may enable you to switch to a fixed-rate loan and take the uncertainty out of your mortgage payment plan, which is especially beneficial if you think rates will increase over time. Although refinancing has its advantages, it’s not for everyone. Bear in mind that if any of the following apply, it may not be a good idea. You’ve had your mortgage a long time. For most 30-year mortgages, you pay most of the interest in the first two decades of the loan. After that, more of your payments go to reducing the principal balance than paying interest, so refinancing would probably mean spending much more on interest than you would if you kept your current loan, even if the rate is high. Your mortgage has a prepayment penalty. Your lender may charge you for paying off the loan too early. A penalty fee can range from one to six months’ worth of interest payments, and that’s in addition to the other costs of refinancing. You plan to move soon. Refinancing can help save you money in the long term. If you plan to leave your home in the next few years, you might not reach the break-even pointwhen the monthly savings on payments surpass the upfront refinancing costs. In certain situations, refinancing is a productive strategy. Refinancing could be a money-saving move. To learn more about refinancing and to take advantage of Azura’s limited time refinance sale, contact a member of the Mortgage team today.